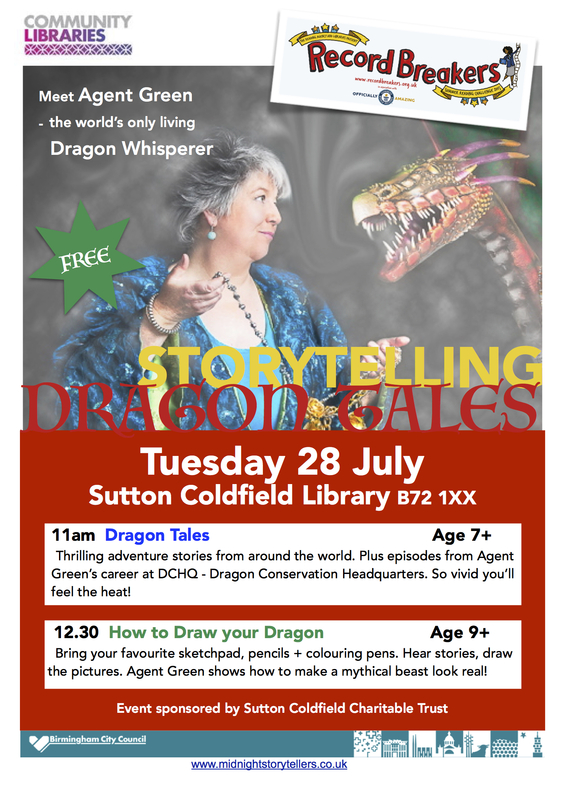 A rare flying visit from the Dragon Whisperer brings a morning of fantasy and magical adventure to Sutton Coldfield Library (Birmingham, England) on Tuesday 28 July. As part of the Record Breakers themed Summer Reading Challenge 2015, gorgeously costumed Agent Green the world’s only living Dragon Whisperer tells Dragon Tales from around the world to age 7+ at 11am. At 12.30, Agent Green breaks out the drawing pens to show age 9+ How To Draw Your Dragon – bring your favourite sketchbooks, pencils and colouring pens. Both sessions are free thanks to sponsorship from Sutton Coldfield Charitable Trust. The Library is at Lower Parade, B72 1XX. Tel 0121 464 2274. Thrilling legends and folktales include a dragon in hiding and the dragon who was really a lost princess, ranging from Eastern Europe to Bamburgh Castle. Agent Green, who is alleged to work for DCHQ, Dragon Conservation Headquarters, also reveals hot tips on dragon care and training, and talks about her mission to find and save the world’s last dragons. You’re welcome to ask everything you ever wanted to know about dragons – because the Dragon Whisperer has the answer! 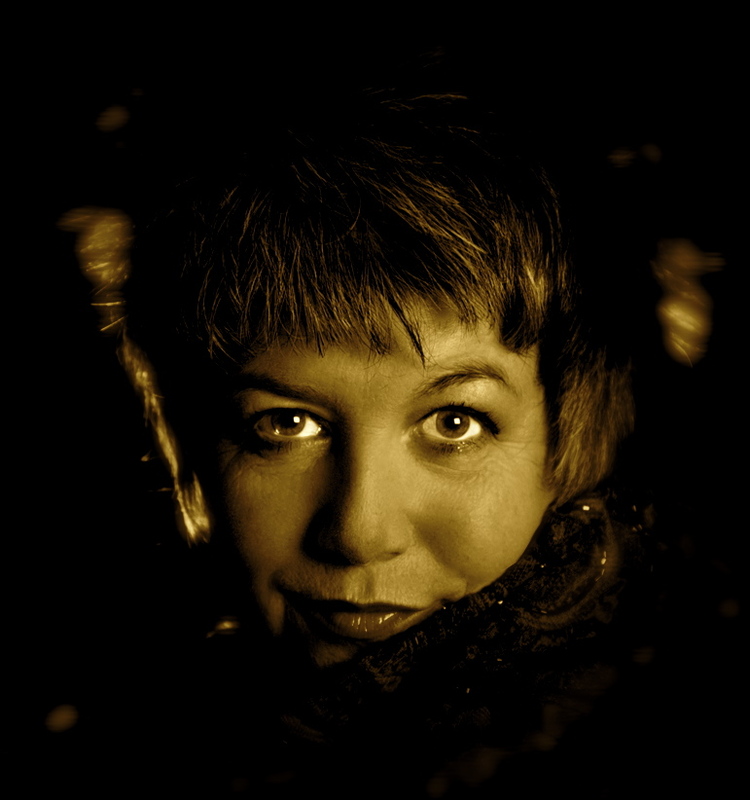 Behind the bling is Chloë of the Midnight Storytellers, a storytelling entertainer and writer/illustrator from the Cotswolds. Celebrating 15 years as a spoken word artist, Chloë sets a new record this August as the first ever Dragon Whisperer in Residence at Sudeley Castle (Gloucestershire). Chloë’s performances for children take her to primary schools, community events and festivals all over the UK. Her story cabaret shows for adults are acclaimed from Cheltenham Literature Festival to cruise ships on the Mediterranean. For her 15th anniversary celebrations Chloë has launched a new contemporary story cabaret show Scheherazade’s Shed which tours to Kidderminster Arts Festival 14 August and Windsor Fringe Festival 24 September. The Dragon Tales CD is available £5 from Chloë, while the fully written out and illustrated Dragon Tales are available as a Kindle ebook (£2.99). The annual UK Summer Reading Challenge, an initiative from the Reading Agency and the Arts Council, encourages UK children aged 4-11 into libraries to read up to 6 books during the long summer holiday. The scheme is designed to maintain reading skills and confidence which can otherwise weaken during over that time. I’m 54 and live in rural England. Whatever you see on the tourism websites, life round here is not glamorous. We endure low wages, expensive housing (second homes and tourist prices), poor public transport, poor work prospects, unaffordable leisure and arts (tourism again), lost banks, closed post offices and libraries. If it weren’t so stonkingly beautiful every time I look out of the window, there’d be no point living here. Anyway, the UK holds a General Election next week. Mindful of what British women went through to get the vote, and of how many countries deny their citizens any vote at all, I’ve been trying harder than ever before to understand what the political parties are offering. And NEVER have I felt so excluded, misinformed, disinformed and generally treated like an idiot. For once it’s not the BBC’s fault. The wretched political parties release tiny dribbles of information. Partial glimpses of the truth as they’d like us to see it. There are no facts – only opinions and sniping. It’s impossible to make an informed decision. Nobody in power actually understands Britain’s finances, and they have no idea what we need or what we can afford. This is terrifying! Vote UKIP = vote rabid racist and cut us off from Europe. Although this morning UKIP leader Mr Farage sounded like he’s been fitted neatly into Mr Cameron’s pocket [prime minister since 2010; Conservative]. Both of them are ‘insisting’ they want to ‘offer the country a referendum’ on leaving the European Union. Talk about distraction technique! Westminster politicians are incapable of representing the electorate because they don’t live real lives – they have NO IDEA what it’s like to struggle for a fair chance in Britain today. I see my friends’ lives, their creativity either sidelined or crushed by the daily grind to pay the bills. Members of Parliament have never lived like that. Nor do many County Councillors have to worry about paying the Spare Room Tax. None of these people has had to go without food or warmth because their benefits were sanctioned when the bus made them 10 minutes late for the Job Centre. Note that it’s County Councils – under the Westminster thumb – now relentlessly taking away services which directly affect daily life. Clever people have said “Nations get the government they deserve” – well, we deserve better than what’s lining up for Westminster now. I see nobody capable of governing this country with intelligence let alone compassion and decency. It’s a shock to get to my middle age and realise how bad things have become and how powerless we are. 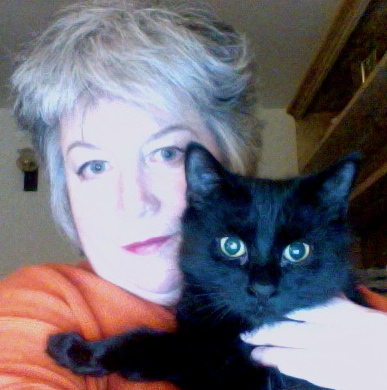 Cotswold Life magazine requested spooky local yarns for its online pages during October. I sent them a true story… Here’s The Museum in Black – don’t have nightmares! Worse, I’ve chosen not to reproduce so in some circles I’ve ‘failed’ as a woman, too. I had to be super careful about money, and everyone except a politician knows that being poor makes it nearly impossible to have a social life or go anywhere or do anything. Now I’m 52. All shop staff etc assume I’m a ‘Mrs’. This is painful, because calling me by my mother’s name wakes nasty associations. Being alone and over 35 has been a nightmare. As a single woman, if you try to change your condition – if you go to parties, heritage sites, theatres or (gods help you) a bar or restaurant alone – then half the population judges you a whore. And/or sad, hysterical and desperate. Including the grubby losers on dating sites. Real, high quality potential flirt mates / lovers / partners are beyond reach because they’re at work or socialising in places I cannot access. In 2004, after another no-go relationship, and besieged by depression, I re programmed myself: Stop Wanting What You Can’t Have. It might not be fair to me as a moderately attractive woman with a lovely warm personality [..sigh..], it might not be fully logical – but it instantly freed me from emotional neediness. I have fully adapted to self sufficiency (although depression knocks me off my perch from time to time). It would now be very difficult for me to accept another person’s life in my schedule, let alone their snores and soiled underwear in my home. MY home! MY cats on MY bed! With a small, strong network of friends, not all but mainly female, I feel that I enjoy enormous freedom and independence. My challenges are lack of life structure and excessive self indulgence. As a Spoken Word Artist I hope that my work promotes self reliance and an independent mindset. Even if you pair off, you should be in a team of equals bringing mutually supportive skills – not locked in a feudal overlordship. I want my work to gently, clearly feed people the message that they need not fear being alone. 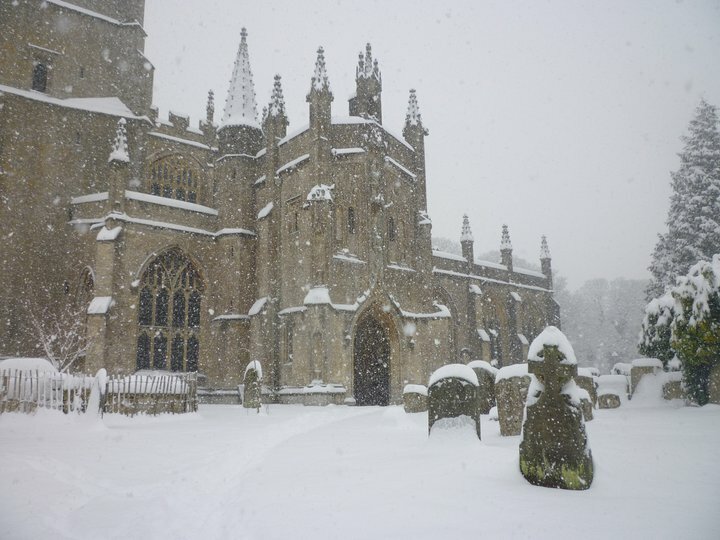 “Cotswolds are closed today,” said my landlord the farmer. He’s out playing with his snowplough – a man in his element: big tough machines and huge amounts of stuff to move! People for miles around are grateful, as we stare out across where arctic whiteout has replaced the fields. This was the weekend shopkeepers and many other businesses were counting on to keep their financial heads above recession. Friday and today were supposed to be the Great Chrismas Getaway. Instead there is frustration, pressure, struggle… Crowds overheating, queues shivering… With all my heart I hope people find the patience and invention to reach safe places, with friendly faces. Deliveries will be late, shopping will keep till better weather – we’re humans, that means good at adapting. It’s a survival skill, and we’d better remember it. In every aspect.